At seventeen tracks in length, nineteen if you count the iTunes Deluxe Edition, Krizz Kaliko’s Kickin’ & Screamin‘ served up some of the emcee’s best work. From all-star collaborations to exciting new production, the album changed up Krizz Kaliko’s musical direction, but one thing remained the same – his incredible ability to deliver mesmerizing hooks. With the album stuck in rotation for fans everywhere, tracks like “Can’t Be The Only One” and “Hello Walls” are proving to be great examples of Krizz Kaliko’s incredible writing. Packed with memorable hooks that dig their way into your subconscious, Kickin’ & Screamin’ offers listeners a fresh new take from the man responsible for some of the most popular hooks in the Strange Music library. 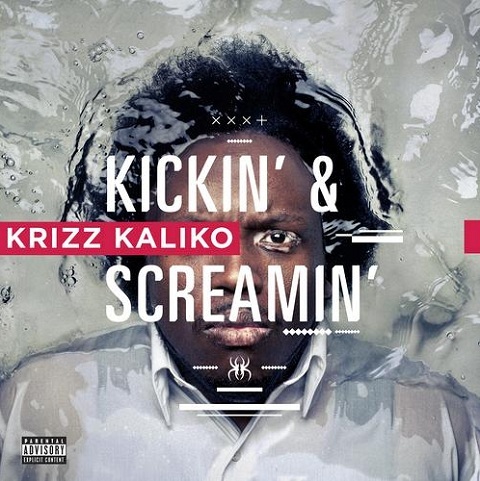 We recently asked fans on the web to weigh in and share their favorite hooks from Krizz Kaliko’s Kickin’ & Screamin‘. Just like every track on the album, no two picks were exactly alike. What was your favorite hook on Kickin’ & Screamin‘? Let us know in the comments section below!